The Growing Power Of The Sugar Pill Placebos play a useful role in drug testing: They help scientists determine just how effective a drug is. But a comparison of studies of antidepressants finds that patients find placebos twice as effective today as they did in the 1980s. Researchers aren't entirely sure why this is happening, but they say these findings could complicate medicine. The other day I came across a fake news story on the Internet. It was a send-up of the pharmaceutical industry which featured a bunch of drug industry executives wringing their hands in despair: placebo pills, the fake news story reported, were getting stronger, what was a drug executive to do? This is a real news story about how placebos are getting stronger. Or anyway, it's a story about how our assumptions about placebos — the proverbial sugar pills given to patients during medical trials — are changing. But to understand this story first you need to understand more about how important placebos and the placebo effect have become to the process of medical research. To do that, it's good to get to know Annette and George Doeschner. You see a long time ago, when they were still young, Annette and George decided to go for a walk in the park near their home. It was a beautiful day, the sun was shining, and everything was perfect. Everything except for George's arm. "His left arm wasn't moving," says Doeschner. "And I noticed and I said, 'Why isn't your arm moving?' And he said, 'I don't know, but my pinky is twitching and I don't understand what that is.' "
Annette encouraged George to see a doctor about his pinky, and so he did. But the doctor had bad news. George, a 40-year-old father of four, had Parkinson's. Annette says the diagnosis felt like a death sentence, but there was one small ray of hope: science. The doctors assured George and Annette that the disease was slow moving, and that scientists were coming up with treatments all the time. And in fact, ten years later, George and Annette got wind of a promising possibility. As part of an experimental study a doctor in Colorado was injecting fetal tissue into the brains of people with Parkinson's. The researchers believed that the experiment was relatively safe, but there was one catch: 40 people would be accepted into the study, but only 20 would get the real operation. Twenty would get a placebo operation; they'd go through everything that the real patients went through without getting the fetal tissue. So why go through this pain and trouble? Because the doctor knew that even fake surgery — placebo surgery — will often give people relief. And, he felt he needed to compare the effect of the real operation with a fake one. That way he would know what effect the fetal tissue really had. George agreed and flew to Colorado where the doctor screwed a metal crown into George's head and drilled four holes through his skull. George was then sent home. Several months later, after a series of tests, George finally got more news about the experiment. Turned out he hadn't gotten the real operation; he's gotten the placebo surgery. 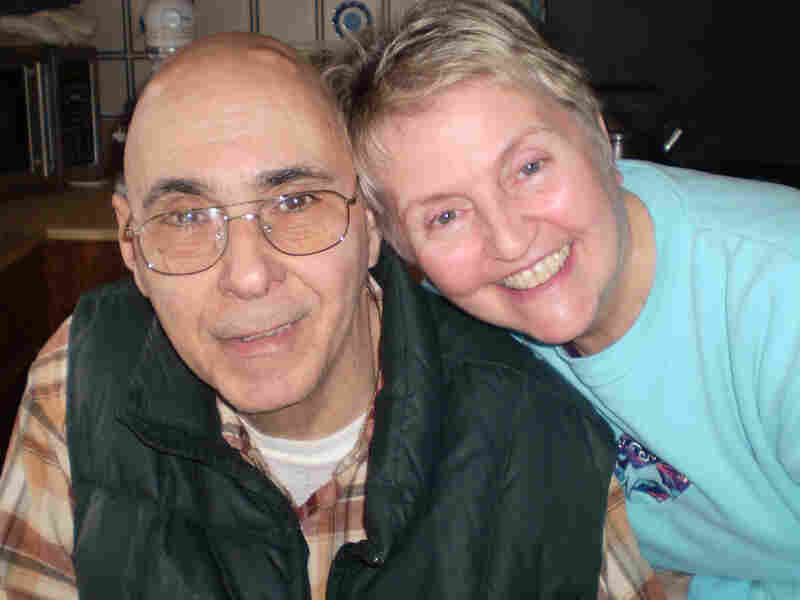 When George Doeschner was diagnosed with Parkinson's, he and his wife, Annette, decided he'd take part in some experimental treatments to fight the disease. You might think that, once told, he'd be a little bit put out about the four holes in his head. But Annette says no. She explained that she and George understand just how important placebos are. "How they ever do it I don't know, but that's the way that science works," she says plainly. "This is science." 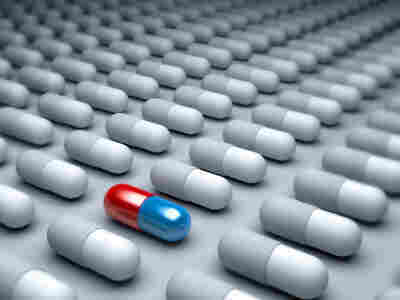 Over the last four decades placebos have come to play an enormous role in the scientific process. So enormous that even people like George and Annette understand their importance, are willing to tolerate literal holes in the head because they believe that it's only through testing against placebos that scientists are able to understand what is really going on. But some recent studies are turning up something extremely unexpected about the placebo effect: our response to placebos seems to be changing over time. In fact the placebo effect, some researchers say, appears to be getting stronger. To understand why it is that the placebo response might be changing, you first have to understand the role that placebos play in our research process. Because doctors know that any kind of medical intervention — even a fake one — can cause people to improve, they use placebos like sugar pills or fake surgery to understand whether or not a treatment is really working. And why do these placebos — - the sugar pill, the fake operation — sometimes seem to make people better when there's absolutely nothing to them? Arthur Barsky, the director of psychiatric research at Brigham and Women's Hospital in Boston, says one big reason is conditioning. "You've learned over the course of your life that going to the doctor, being examined, having him write out a prescription, waiting in line at the pharmacy, taking a pill, (these things) are generally followed by some benefit," Barsky says. "So you've kinda learned a pattern of reacting that seems to be pretty powerful." Therefore the mere fact of participating in these activities, Barsky says, often makes you feel better. Now this is incredibly important when it comes to drug trials — studies that try to figure out whether or not a drug is working. Researchers testing a new medication feel that because of the placebo effect, they can't just give their drug to patients then ask them how they feel, because patients are liable to report the drug is helping when it's just the act of taking medicine that's making them feel better. Barsky says this is the real question: "Is your new medication more effective than a sugar pill?" And so most of the time when there's a drug study in this country, the drug is compared to a placebo. But, says Barsky, this whole system is premised on some big assumptions about how placebos work. "We have always assumed that it was a pretty constant effect. That the same person would have the same response to a placebo at different points in time. That similar illness would respond in a similar way to placebo. It was a constant, predictable, stable, and very important phenomenon that you saw in any medical interaction." But it turns out the placebo effect might not be as stable as we've assumed. Barsky recently published a study that looked at a bunch of antidepressant trials that had taken place between 1980 and 2005, and he found that in 2005 patients in these trials responded to placebos way more than patients did back in the 1980s. "The placebo response was about twice as powerful than it was in the 1980s," Barsky says. "That's a pretty significant difference." In other words, placebos seemed to be twice as powerful as they were 30 years ago. No one, including Barsky, really knows why the placebo effect appears to be changing. But Ted Captchuk, another Harvard professor who studies the placebo effect, says that placebo "drift" as it's now known, appears to be real. He says it's shown up in more than just antidepressant trials. And one possible explanation, according to Captchuk, is that there's been a change in our expectations. For example, Chaptchuk points out that by 2005 our belief in the power of antidepressant drugs was very strong, and that might account for the shift. "There's a lot of confidence, and that changes both providers impression of what happened, and presumably the patient's experience of what could happen." But also, says Kaptchuk, it could be that because drug companies mostly pay for drug experiments, doctors who do the research have a subtle incentive to say the drugs are working. And since doctors don't know who's taking a real pill and who's not, the fact that they see benefits in all patients would also inflate the placebo effect. Then there's another possible explanation. Researchers, especially in pharmaceutical trials, get paid for every patient they recruit. But often, Kaptchuk says, it's hard to find people, so doctors will sometimes admit patients to trials who simply aren't that depressed. And typically, he says, people who aren't that depressed are much more susceptible to the placebo effect. "I don't think there's out-and-out fraud," says Kaptchuk. "I think that you're under pressure to recruit. It's really hard to recruit people. And you know, (when) it's borderline, (you) put them in. And those people on the borderline at the end, they are better in the placebo group." Whatever the cause, placebo drift is something that has the potential to cause real mischief in medical trials. "If the placebo response — that baseline — is shifting all the time, then it really confuses the issue of whether the drug is effective or not," Barsky points out. As for Annette and George Doeschner, their experience with both placebo and "the real thing" has been mixed. Years ago, after learning that George had had the placebo operation, they decided to go back and get the real thing. And at first, Annette says, it worked great: the tremors went away. But then George started getting wild movements. His arms and legs would jump out uncontrollably at odd times. So George and Annette decided to go in for a new kind of operation: deep brain stimulation. DBS, as it's known, quieted much of the wild shaking. George and Annette are pretty happy with it, but still Annette says: "We'd be happier with a cure." And, were another potential promising cure to come along, Doeschner says, she and her husband might consider signing up for another experiment. Even if it involved a placebo.